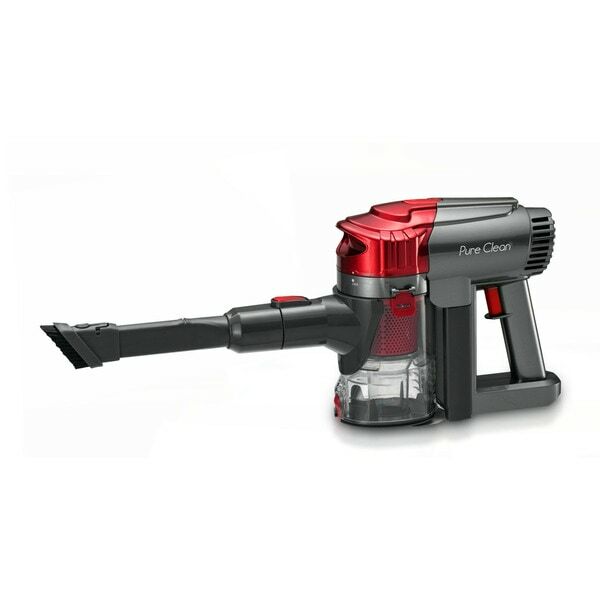 Clear out the clutter quickly and efficiently by cleaning up with this cyclone vacuum cleaner. The cordless design means you can move around without tripping over a cord or accidentally pulling it out of the wall. Use the extending tube arm to reach under tables and behind furniture, and dump debris easily thanks to the bagless suction. When done, return the vacuum to its docking station so the rechargeable battery can get ready for next time. Worked well when initially purchased, but after returning a few months later from a business trip, it was totally dead, after a full charge cycle. Customer service said I had to buy a new battery, which is ridiculous. This is junk and should be avoided. "Is the charging dock included in price?" "Is the battery charging dock included in this price?"